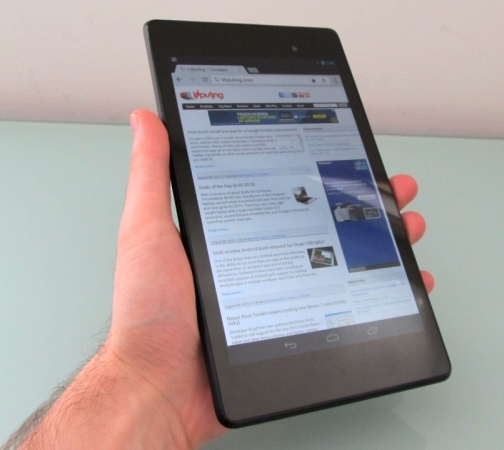 It may have taken a little longer than planned, but Google has uploaded factory images and binaries for the new Google Nexus 7 tablet. You can download the factory image and use it to restore the tablet to its factory state if anything goes horribly wrong, and developers can use the binaries to build custom firmware or other software for the 2013 Nexus 7 tablet. Earlier this week the head of Google’s Android Open Source Project, Jean-Baptiste Quéru, said he was quitting the team in frustration over the fact that you couldn’t even boot the open source version of Android on the latest flagship device. That seems to have been because some sort of dispute with Qualcomm over the rights to distribute proprietary graphics binaries. But there are now binaries posted online for the tablet’s graphics, audio, wireless, sensor, and even DRM hardware components. It’s not clear if this means Quéru will stick around, or if it suggests any major change policy on Qualcomm’s part rather than a one-time agreement. It also took a while for Google to post binaries for the Google Nexus 4 smartphone, another device with a Qualcomm processor, and it never released all the source code for the HTC Nexus One, the first Nexus device and the only other model with a Qualcomm chip. But if you’ve been waiting to get your hands on a factory image before doing anything silly like rooting your tablet and exploring the contents of the system partition, now’s your chance. I like the form factor and screen of the Nexus 7 tablet but why did they have to once again use up screen real estate with virtual buttons instead of doing what the Galaxy Note 8 does and put them on the bezel? Too much bezel! That bezel can go to hell, I yell. All that bezel and none of it used for decent front speakers. And what’s the big beef they have with having a USB-otg port along with a separate micro-HDMI port? I can understand having a combo port that does double duty on some smaller phones, but on a tablet it’s just lazy design. Giving you access to your own media and data undermines Google’s own desire to get you onto their cloud services. It’s the opposite of lazy. It is part of a well thought out plan. Quite the opposite, it is a poorly though-out plan. Millions, like me, refuse to touch these devices that intentionally limit access to our own local media. So Google loses out on the option to Ever change my mind.